September has not been a good month for investors. 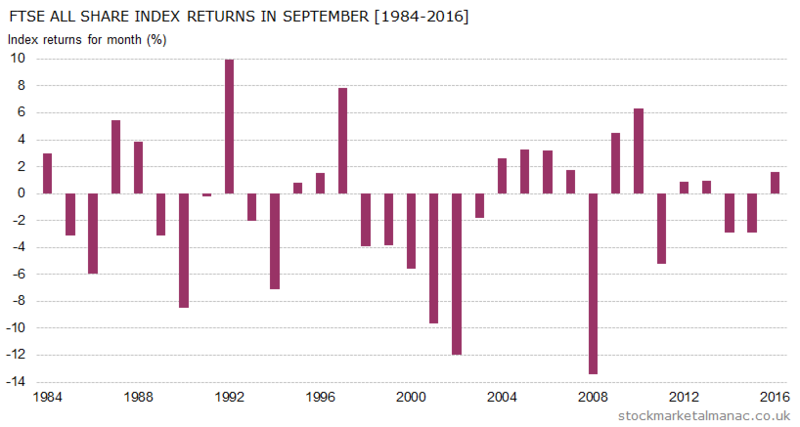 Since 1990 the average return of the FTSE All-Share Index in September has been -1.2%; the worst return of any month in the year. However, although the average return is bad in the month, over the longer-term about half of all Septembers actually have positive returns. And, in the last 13 years, the market has only fallen in September in four years. The problem is that when the market does fall in this month, the falls can be very large. For example, as can be seen in the accompanying chart, the FTSE All-Share Index has declined over 8% in three years since 2000. So, the big problem for investors in September is volatility – share price volatility is at its highest annual point in September. In an average month for September the market tends to gently drift lower for the first three weeks before rebounding slightly in the final week – although the final trading day (FTD) of the month has historically been one of the weakest FTDs of all months in the year. In contrast to equities, gold tends to be strong in September: since 1968 the average gold price return in the month has been 1.8%, making September the strongest month of the year for gold. Recently, since 2000, gold’s September has been even higher at 2.3%. It should be noted that silver has also been historically strong in September. 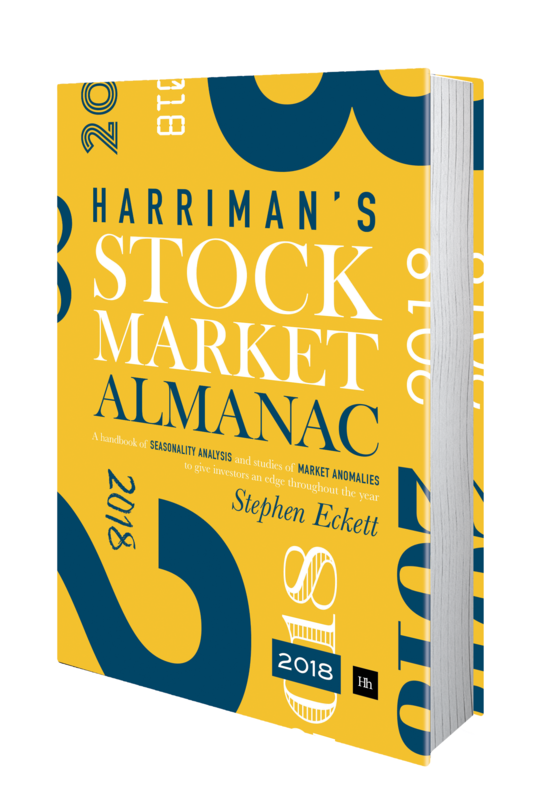 On the sector front, September tends to be good for Electricity stocks, Food & Drug Retailers, Mobile Telecommunications, Pharmaceuticals & Biotechnology, and relatively bad for Aerospace & Defense, Chemicals, Electronic & Electrical Equipment, General Retailers, Media, Technology Hardware & Equipment. In the diary this month are: the US Nonfarm payroll report on the 1st, the NYSE closed on the 4th (Labor Day), ECB Governing Council Meeting on the 7th, MPC interest rate announcement on the 14th, and it’s Triple Witching on the 15th. Saturday 16th September will see horse racing at Doncaster – the St Leger Stakes. Of note for those investors who adhere to the adage “sell in May, go away and don’t come back till St Legers day”. Further articles on the market in September. This entry was posted in Market, News, September and tagged month review by Almanacist. Bookmark the permalink.